Alberta Catholic schools are once again in the news, this time over conditions placed on Catholic teachers for when they are both in and out of school, renewing calls to remove Catholic schools from the public system altogether. Alberta is one of only three provinces in Canada (with Saskatchewan and Ontario) that supports fully-funded Catholic schools, so we do not have to look far for examples of educational delivery that provides options and support for religious education outside of public system. In fact, neighbouring British Columbia delivers K-12 education in a way that provides choice for families, supports religious education in independent schools and, as an added bonus, does it all at a lower cost than Alberta. Unlike in Alberta, independent schools—which include religious education, alternative pedagogies or specialized/focused education programs such as schools dedicated to STEM—provide much of the school choice for parents in B.C. In other words, the public system in B.C. is fairly homogenous with much of the diversity and choice provided by independent schools. This is markedly different than Alberta’s approach, which relies on public schools to deliver a significant amount of school choice in religion, alternative pedagogies, focused programs and charter schools. This at least partly explains why B.C. 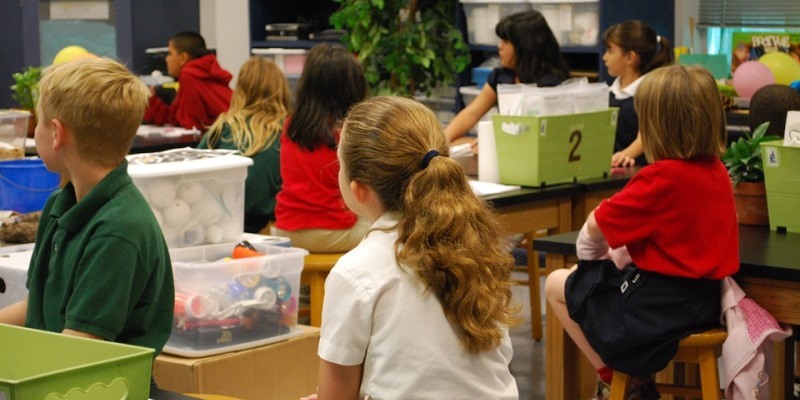 has the highest rate of independent school enrolment in the country—12.9 per cent of B.C. students went to an independent school in 2014/15, the latest year of comparable data, compared to 4.4 per cent in Alberta. B.C. also delivers K-12 education at a lower cost than Alberta. In 2014/15, B.C. spent $11,216 per student annually on public schools compared to the national average of $12,646 per student and $13,115 in Alberta. As it costs taxpayers less to educate students in independent schools compared to a public schools, moving religious schools and other specialized programs into the independent sector will also save the provincial government money at a time when the deficit must be reined in. A recent study found that potential annual savings range from $280 million to $691 million, depending on how many students move to independent schools or return to the public system. Reforming the delivery of K-12 education in Alberta is neither impossible nor unprecedented. One only needs to turn to neighbouring B.C. for an example of an education system that provides choice for families with the added benefit of lower cost to taxpayers.